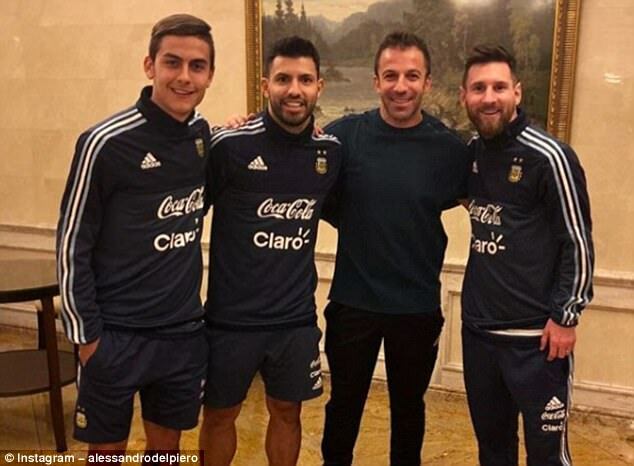 Argentina, ranked 5th in the world, face the team in at 22nd, Iceland. Argentina should really be winning this one, but Iceland are no slouch of a team, nor a stranger to causing upset at major tournaments, shockingly knocking out England in the round of 16 of Euro 2016. This looks like it's going to be a good game of football. Aged 36, with Premier League and La Liga experience, Caballero looks to be a good fit to replace Romero and do the job between the posts. Defenders: Gabriel Mercado (RB), Nicolas Otamendi and Marcos Rojo (CBs), Nicolas Tagliafico (LB). Mercado of Sevilla has good build up play and passing, and can work his way up the wing well in support of forward players. Otamendi and Rojo are two renowned Premier League centre backs with a lot of skill, unafraid to go in for the challenge. The former broke the record for passes in a PL season and the latter has also played well for the Red Devils. Nicolas Tagliafico, a pacy young left back who I'm sure will add some firepower to the back four. Midfielders: Javier Mascherano (CM), Ever Banega (CM) and Angel Di Maria (CAM). With Mascherano and Banega able to hold and string passes through from the back, this allows the creative wizard in Di Maria to find space and spray passes forward to the front men. Forwards: Lionel Messi (RW), Paulo Dybala (LW) and Sergio Aguero (ST). This front three screams pace, passing and agility to me. An insane attacking trio, with the ability toopen up any defence, not to mention their technical capabilities in shooting and gameplay too. 101 goals and 32 assists between these three players just shows the sheer class of these talents. I feel Gonzalo Higuain, though a fantastic player, doesn't suit the fast moving, tiki taka style that Messi, Dybala and Aguero provide, but I feel he can. be an impact player, coming on in the 60th or so minute. Having been capped 49 times by Iceland, the old timer will try to keep things tight and lead from the back. Defenders: Holmar Orn Eyjolfsson (RB), Ragnar Sigurdsson and Kari Arnason (CBs), Ari Freyr Skulasen (LB). 210 apps between these four defenders will prove favourable. This will provide an opportunity for the team to gel and the experience to shine through, in staying tight as a unit to keep Messi and his boys at bay. Midfielders: Birkir Bjarnason (CM), Aron Gunnarsson (CM), Johann Berg Gudmunsson (LAM), Gylfi Sigurdsson (RAM). Bjarnason of Villa has four goals and three assists this season, and is a solid centre mid. Onto Gunnarsson, the captain. A passionate and influential leader of the side, for Cardiff he's been involved in two goals, wining 1.2 aerial battles per game and having a healthy pass success rate of 62.3%. Furthermore, his presence also is a big boost in the morale and strength of both the players and the fans, epitomised by the victory over England. Gudmunsson, though he hasn't been very impactful at Burnley, he still has a lot of pace and skill waiting to be unlocked, and this will be his big moment. Finally, Gylfi Sigurdsson, a real standout player in the team. An attacking mid with good vision and passing, and a real rocket of a shot on him. He'll be dangerous with any set piece sent Iceland's way. Forwards: Jon Dadi Bodvarsson and Alfred Finnbogason (STs). The latter has scored twice in the last two internationals, with 13 international goals to his name. The Ausburg attacker, supported by the Reading forward in Bodvarsson, who's got 7 domestic goals, will try to commit forward in the hope of finding a breakthrough. Argentina 2-0 Iceland. It won't be easy for Sampaoli's boys, as Iceland will make them work for it and won't go down without a fight. 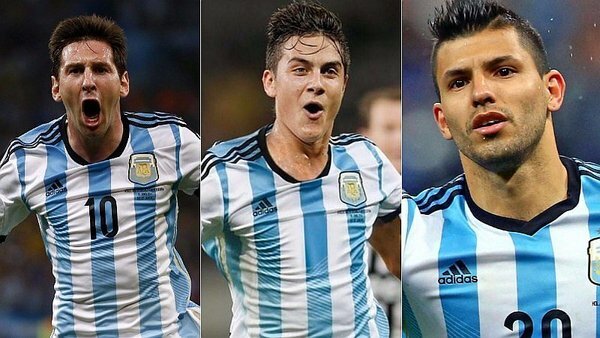 However, the sheer chasm in class will prove decisive, I believe, and so Argentina should have it in the bag.